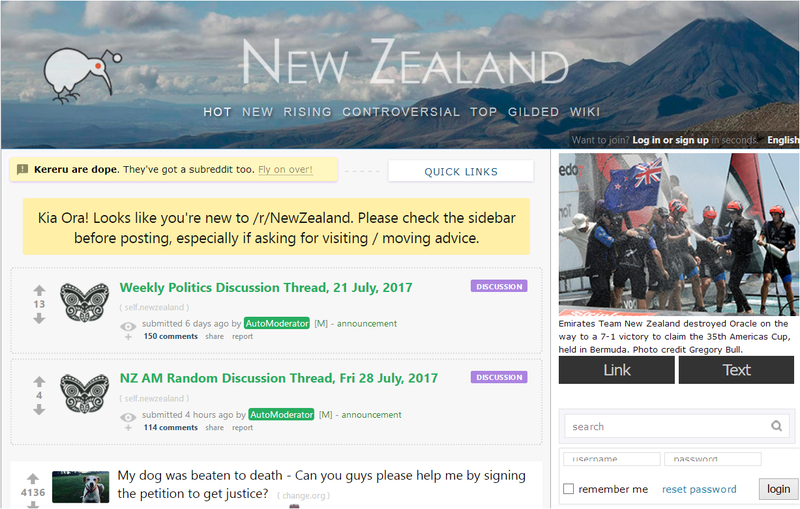 If you ever wanted to get a feel for the feral racism and xenophobia that pervades New Zealand’s culture, you have to go no further than an immigration discussion on reddit New Zealand. Bear in mind when you read this that everyone who lives in New Zealand has a history of immigration somewhere in their timeline. Furthermore, most Kiwis seem to think its their god given right to be able to live and work in other countries and have special treatment over other emigrants there. (Look at the ‘its-not-fair‘ whinging that goes on in in New Zealand whenever the UK or Australia change their residency/citizenship requirements). At some point in recent history, all NZ’s residents owe their existence to a seat on a boat or plane. The irony is that people emigrate to New Zealand to escape the problems caused by immigration in their own countries, without realizing that New Zealand doesn’t really want them – just their wealth – and it hates immigrants of every creed and color. Huntly man Niraj Bahadur is having issues with kids throwing rocks at his house and making racist remarks. A Huntly man says harassment from neighbourhood kids has caused his life to spiral out of control. The man has resorted to building a solid breeze block fence in front of his property to form a compound. Niraj Bahadur says he’s been racially abused, had rocks and other objects thrown through his window and against his house. The attacks have been happening since March and Bahadur also says a group of kids, under 16, have challenged him to fight. Niraj Bahadur contacted Stuff in a last ditch effort to appeal to the kids and the community of Huntly for the harassment to stop. “They started making racist comments, ‘you Indians go back to your country’.. we are not from India anyway. Bahadur moved from Fiji a decade ago to Huntly West where more than 30 per cent of residents are under 15 and almost 50 per cent of families with children consisted of one parent. Niraj Bahadur wants the harassment from a group of neighborhood kids to stop. The stress has led to him resigning from his retail job and being admitted to hospital. Bahadur contacted Stuff in a last ditch effort to appeal to the kids and the community of Huntly for the harassment to stop. He said things became heated during one incident when the group was egging him on for a fight. Now the 36-year old Fijian Indian man is stuck with a $20,000 loan to fund a fortress-like fence for the security of his wife and three children aged 9, 8 and 6-years old. Attempts have been made to resolve the situation with the family of the children. But the most frustrating aspect of the situation was the lack of police intervention, he said. He admitted making several 111 calls during each incident, but Bahadur said the operator told him if other non-emergency calls were made, he would be charged. Officer in charge at Huntly police station, Andrew Brosnan, said there had been no action taken by police following the incidents. Well … those kids learned what their parents/schools/peers taught them and carry out those actions to be “properly integrated” in their society … maybe that’s a way for them to feel a sense of belonging? Plus if the guy and his family leave, the criminals can use the house for free … it’s certainly sending a message to law-abiding people, when criminals go unpunished. Australian plans to triple the fees New Zealanders pay to study at Australian universities have angered Kiwis living there and upset the New Zealand government. Overnight, the Australian government announced higher education cuts and changes, including a decision to stop subsidising enrolments by New Zealand citizens and Australian permanent residents from the start of next year. Those students would be charged the same fees as international students, pushing the amount New Zealanders pay to study in Australia from about $7000 a year to more than $25,000 a year. However, New Zealanders would get access to the Australian student loan system. An Australian government document said about 20,000 New Zealanders and Australian permanent residents were enrolled in Australian institutions and the change could encourage about 60,000 more to enrol because they would be able to borrow money for their fees. Prime Minister Bill English said the government was unhappy with the Australian plans, which had come as a surprise. “Gerry Brownlee will be visiting Australia in the next week, talking to the foreign minister and conveying our unhappiness about it and that we want a serious discussion with them about where they’re headed with this policy rather than announcements made without telling us or at short notice,” Mr English said. He said the position of New Zealanders in Australia should reflect the traditional relationship between the two countries. LOL, I’ve heard “Asians have nothing in common with New Zealanders” … in the same vein, looks like New Zealanders are being recognised by Australians … as citizens of another country, shock, horror! The average Kiwi still remaining in New Zealand, largely because he is too unskilled or too stupid to realise he could do much better for himself abroad, fails to comprehend that the world’s most dynamic and pleasant places make themselves appealing and welcoming to talented, entrepreneurial, and aspiring people from elsewhere. The vitriol against migrants is laughable, particularly because New Zealand would come to a standstill without the countless migrant doctors, nurses, engineers, and construction workers. 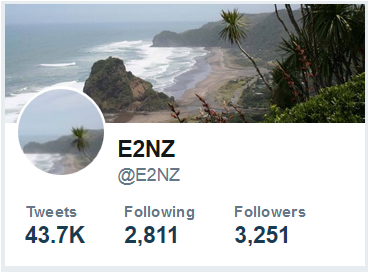 It is good that E2NZ calls it like it is and perhaps dissuade credulous migrants from making the journey to Retardicon 6. Other places are far more welcoming and have better opportunities for migrants. Why suffer abuse and privation in New Zealand when one can do better elsewhere. I wonder how many Kiwis stay in the country, because they can get large welfare payouts, while living in a culture that is completely accepting of people being bludgers and sponging off the system. Being on welfare of one kind or another isn’t just a temporary situation for many Kiwis, it’s a full time professional career. Many people learn how to milk the system for all it’s worth, and are receiving payouts LARGER than what they would get if working. Welfare in NZ is the single biggest expense the country has (as shown by the budget), and costs more than education and healthcare COMBINED (the second and third place holders. This alone is a pretty clear indication of the priorities of the people and government. Apparently, it is considered more important to keep paying people to sit on their lazy asses and do nothing, than make sure the country ACTUALLY has world class eduction and healthcare systems. What this effectively means is that if you are a lazy no hoper who doesn’t want to work, NZ is a great country for you. But, if you actually want to work for a living, and expect to get PAID for your effort, you are better off elsewhere.